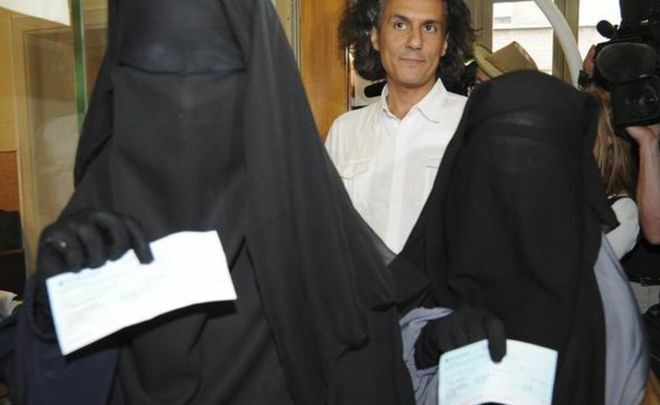 The European Court of Human Rights has ruled that Belgium's ban on face veils does not violate the European Convention on Human Rights. It was a ruling in a case brought by two women who wanted to wear the niqab veil, which covers all but the eyes. Belgium banned the wearing of partial or total face veils in public in 2011. The court agreed that the ban sought to guarantee the concept of "living together" and the "protection of the rights and freedoms of others". The court came to a similar judgement on Tuesday in the case of a Belgian woman who was contesting a bylaw brought in by three Belgian municipalities in 2008 that also banned face veils. The European Court of Human Rights is an international court set up in 1959 and rules on individual or state applications alleging violations of the civil and political rights set out in the European Convention on Human Rights.